and.. now... It's been a while since I've had a fab freebie for you... I'm so sorry! 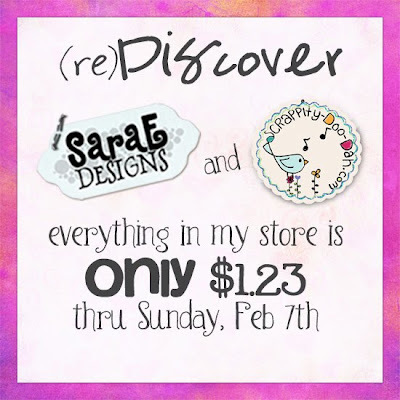 I've been busy with my store at Scrappity-Doo-Dah. Please be sure and check it out HERE, as well as my Brag Book Challenge. Now it's time to make you happy again. 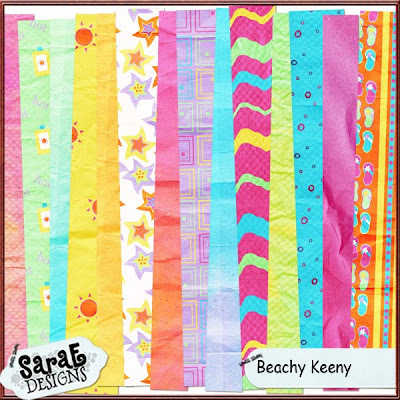 Here's the 1st half of the papers to Beachy Keeny (7 papers). The 2nd half of the papers will be available for you in a few days. The elements will also be available to you later as well. You'll just have to check back to see if they are here waiting for you. Thank you so much for this Freebie. I want to let you know that I posted a link to your blog in CBH Digital Scrapbooking Freebies, under the Page 8 post on Feb. 03, 2010. Thanks again. Thank you. I get very excited about beach themes. And I do love how you've done it. Cool! Thanks Sara! I love the colors. Ah phooey! I just got the 2nd half, but I can't get the 1st set...These are lovely! Are your freebies only available for a day or two? Bless you for sharing!